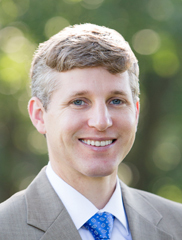 Litigation attorney Jason Asbell recently joined the board of the United Disabilities Services (UDS) Foundation. The UDS Foundation is a nonprofit organization committed to helping people with disabilities, including veterans and the elderly, lead more independent and fulfilling lives. Jason was inspired by his mother, his wife, and his mother-in-law, who have all had careers working with people with disabilities. Following their example, Jason agreed to join the UDS Foundation board as a way to help make a difference in the lives of people dealing with significant challenges. Jason is a trial lawyer who represents businesses and individuals in commercial litigation, student disciplinary matters, criminal defense, white-collar criminal defense and professional licensing matters. Outside the office, Jason is an executive officer with Lancaster Young Professionals and a youth coach with the Manheim Township Soccer Club.